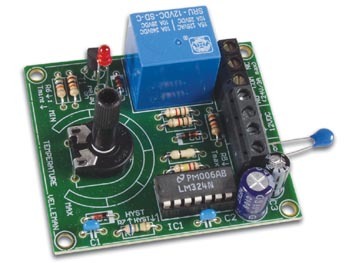 General purpose low-cost thermostat with NTC temperature sensor. Output relay with LED-indicator. temperature range: 41°F to 86°F approx. dimensions: 2.1" x 2.4" x 1.1"
This product was added to our catalog on Thursday 03 March, 2005.